Starting from the end of the fourth century, the Buddhist monastic community in China entered a protracted confrontation with a variety of political regimes, Sinitic and barbarian, significantly affecting their own processes of state formation and the reconstitution of a unified empire after a long period of division. Although elites and rulers often lavished patronage upon the clergy, and used Buddhism to buttress their authority, the overall response of these regimes, especially in the north, was unforgiving. Four persecutions from 446 to 955 and increasingly tight regulation effectively undermined monastic prerogatives, ultimately thwarting the emergence of a Buddhist ›church‹ in China. The last major episode of suppression intriguingly took place only a few years before the founding of the Song dynasty (960-1279) and China’s subsequent transition towards what many historians have seen as her first modern period. Buddhism did live on in the new era, but as a social body it was terminally hamstrung by the state’s inflexible grip. Comparing this trajectory to the fortunes of Christianity in the late antique Mediterranean and then in early medieval Europe raises several counterfactual questions. 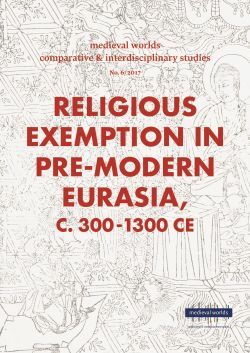 One of the most important perhaps concerns the long-term effect that religious exemption, or the lack thereof, respectively had on imperial state formation on the two sides, in what Walter Scheidel has called the ›First Great Divergence‹ between China and Western Eurasia. Whether the rise of the Christian church with its privileges may have decisively stood in the way of an imperial resurgence in the West is an already old question; but whether, conversely, the Chinese state’s successful confrontation with Buddhism was key to its extraordinary endurance as an imperial entity is a still largely unexplored avenue of inquiry, which this paper intends to probe.